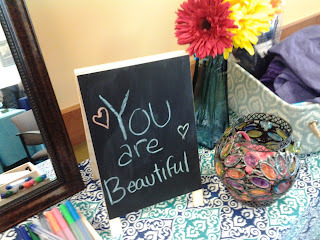 Joy Jamboree® Your Mindful Moment : Inner Words: What You Say to Yourself Matters...Big Time! Inner Words: What You Say to Yourself Matters...Big Time! Next year, we’ll celebrate the 50th anniversary of the first moon landing. Of course, all the TV and internet sources will run the famous video of Neil Armstrong stepping off the Lunar Module. I watched it live back in 1969 with a group of friends. We were like kids, yelping and whooping it up, even crying a little when Armstrong uttered “One small step for man; one giant leap for mankind.” What an achievement that was. For a brief time, the world seemed united. In the 1930s it was considered both illogical and impossible for humans to go to the moon. We couldn’t fight gravity; we’d be crushed in space; no materials to protect us from radiation. The negative list was extensive. But, in spite of the naysayers, we did the impossible. After the fact, it turned out to be quite logical to expect that humans could engage in space travel. Now, our space dreams in the 21st century are only limited by our fears. We will ultimately overcome the majority of obstacles that currently keep us from going to the planets and out into the galaxy itself. Those who created the moon landing didn’t listen to the naysayers. They heard an inner voice—a higher calling—that said it could be done. And when that voice became a collective voice, it was only a matter of time before Neil Armstrong made that first human imprint on the moon’s dusty surface. And, if we can send our machinery to Mars (which we’ve done), and space toys that send back images of the outer planets—up close—and if we can put all kinds of satellites into orbit around our own planet (weather, spy, you name it), then we can do practically anything—if we’ll listen. You’ve been talking to yourself and to the world in certain patterns—and listening! If you would change a habit, change the pattern. Begin with your words. It’s the simplest place to start. Some say affirmations won’t work. For them, they won’t. They’ve already affirmed their way out of the possibility. You’re different. You know that if given half a chance, you can talk yourself into a new experience. And you want to, I can tell. But don’t take my illogical word for it. What does your Inner Voice tell you about all this? Garbage? Hogwash? Or a new beginning? P.S. You will hear a lot of people make light of affirmations. They don't work, they say. And for the most part, they are right. It's very difficult to affirm a new Cadillac CTS into your life if you're living on Social Security. It's equally difficult to affirm a CEO position at a large company if you have one year of experience delivering pizza and nothing else. However, when you understand that affirmations are a form of self talk designed to get you to hear all the crap you've been feeding yourself, then they do their job. The idea is to get clear on the negative stuff. If you don't know that you're talking to yourself in a negative way, there's no way to release it. When you use an affirmation that you initially don't believe, you will hear yourself denying the truth of it. That's how you learn what's holding you back on any particular level, in any particular area of your life. Keep repeating them. They will bring up everything you need to hear. As that stuff begins to fade--and it will--the deeper part of you can get through. That's when the real change begins. But don't take this all on faith. Practice. If you don't like the results, drop it all.